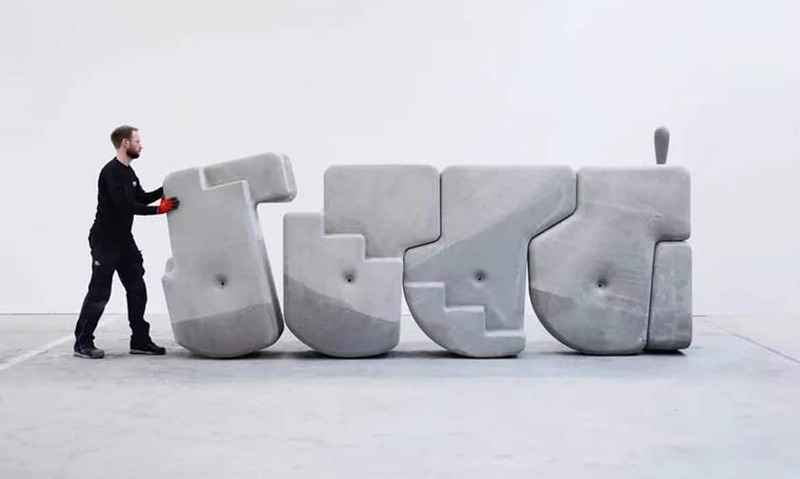 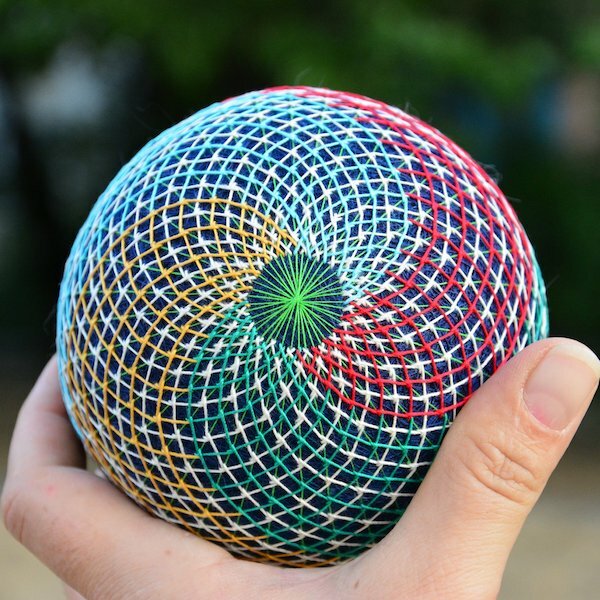 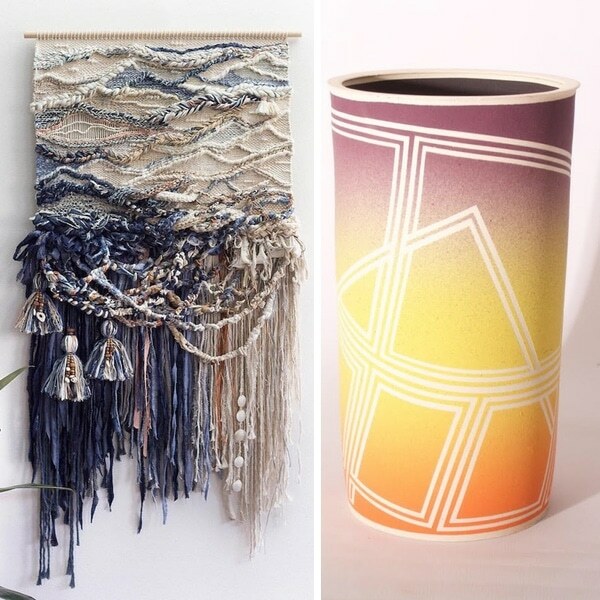 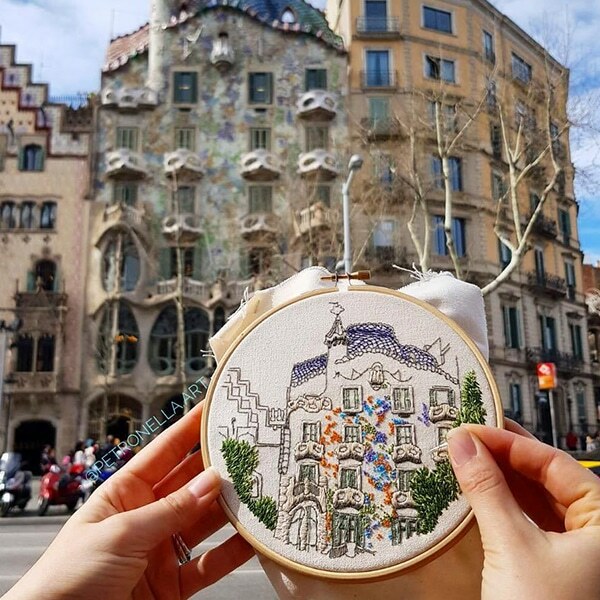 From thread painting to “floating” textile motifs, the boundaries of embroidery are being pushed and blurred more and more by contemporary textile artists. 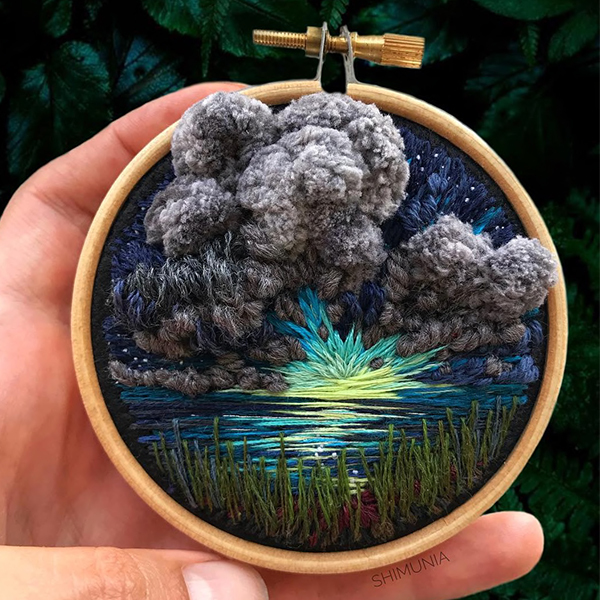 Bernita Broderie is helping to enhance this wave of contemporary embroidery art with her brilliant use of cotton threads. 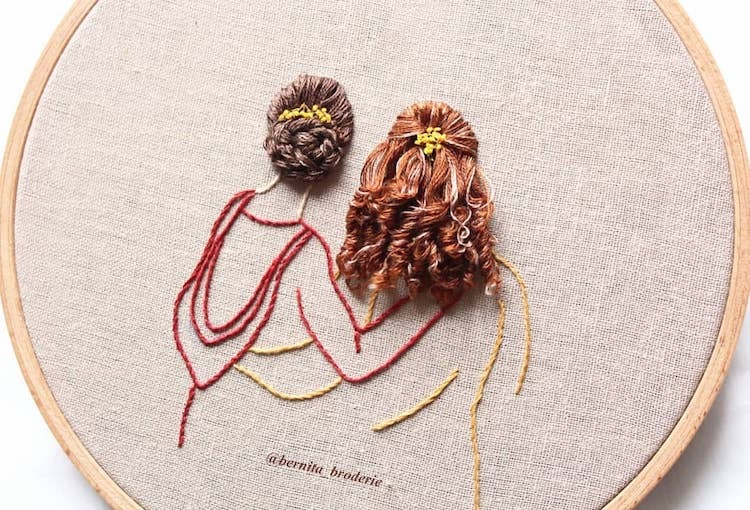 She uses the common fibers to render three-dimensional hairstyles that cascade from embroidery hoops in wonderfully unexpected ways. 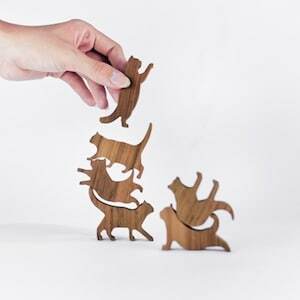 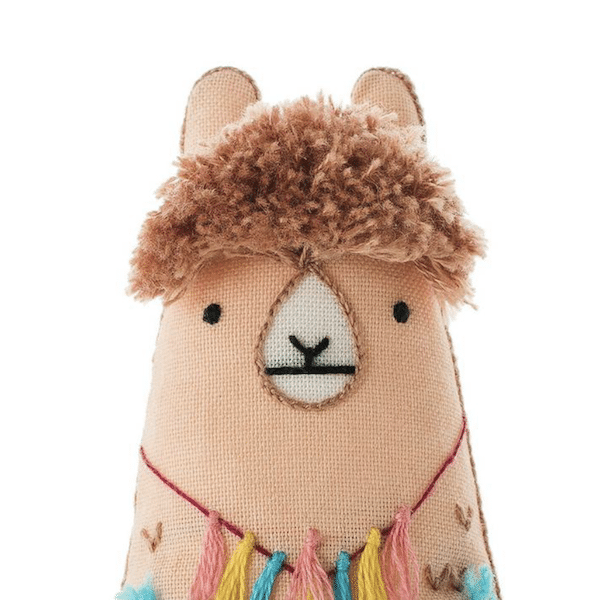 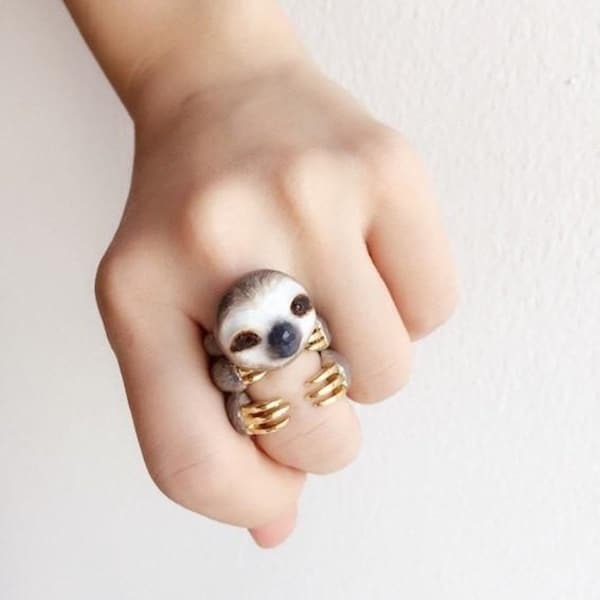 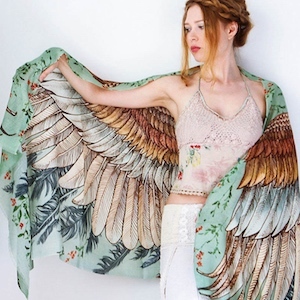 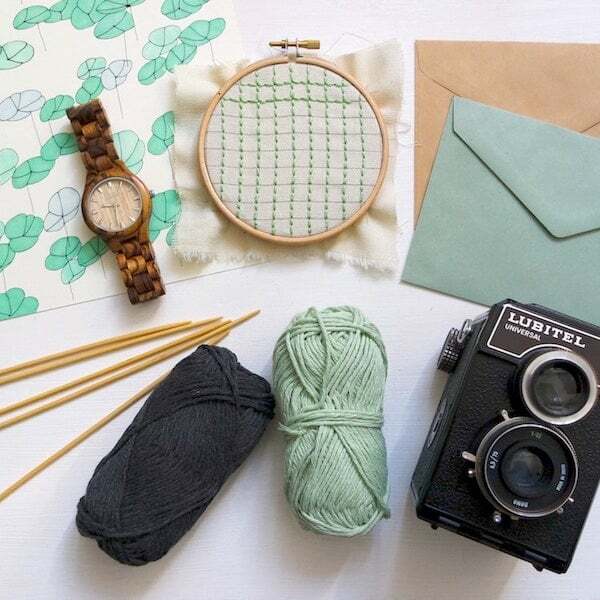 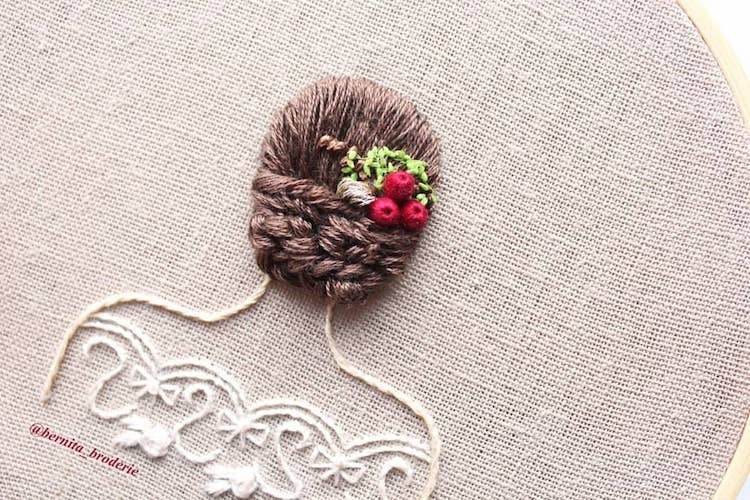 The French crafter’s hand-stitched designs are made using various hair-colored yarns stitched into raw cotton fabric. 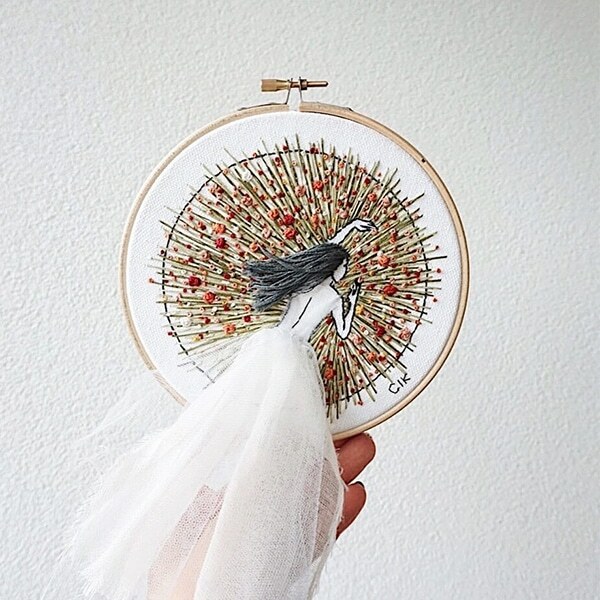 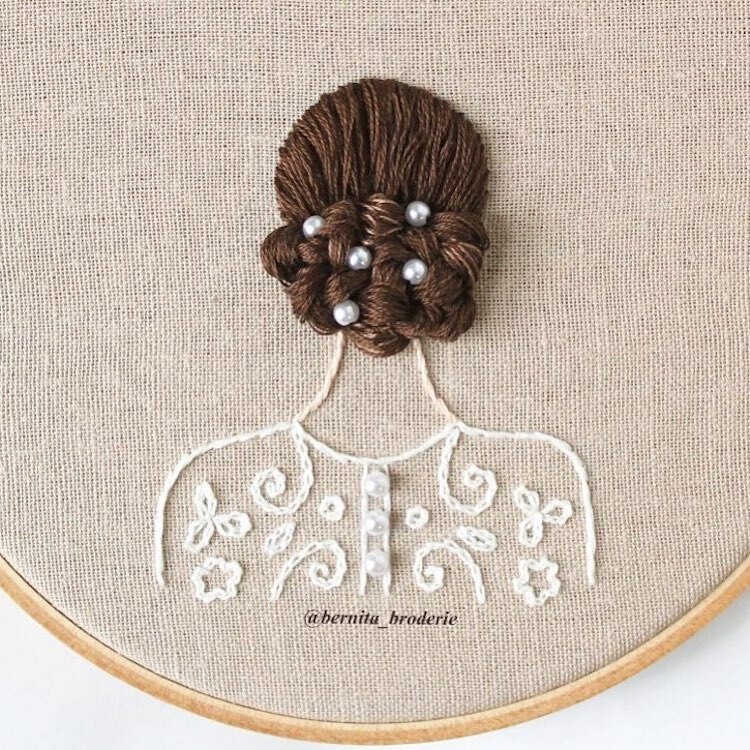 Broderie renders the silhouettes of her female figures in simple embroidered line work, while letting her subjects’ hair be the focal point of her designs. 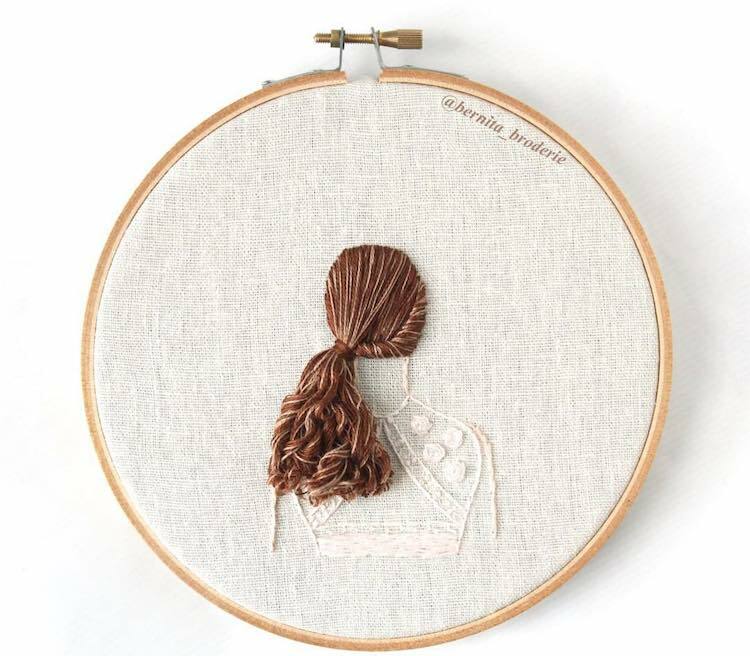 From elegant updos and flowing waves to ponytails and tightly-wound curls, there’s no hairstyle that Broderie can’t stitch. 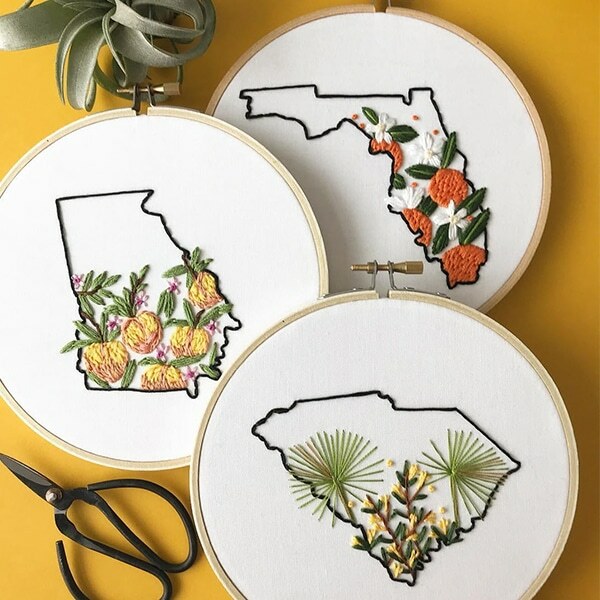 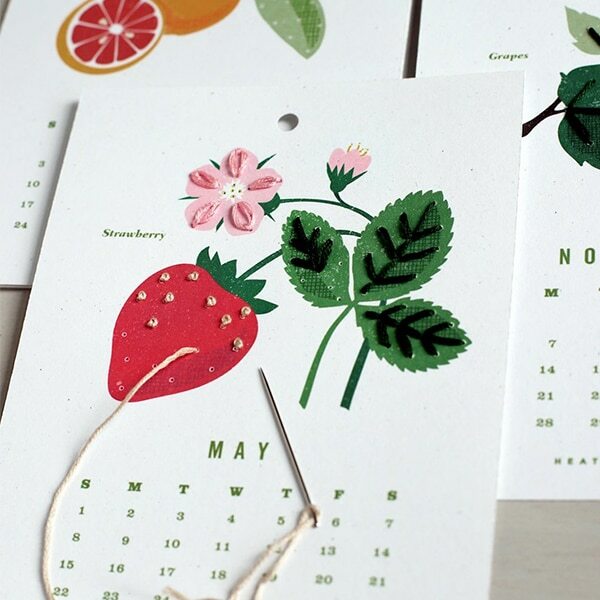 Many designs highlight decorative accessories—such as embroidered flowers—while others feature textile strands of different shades, mimicking natural locks. 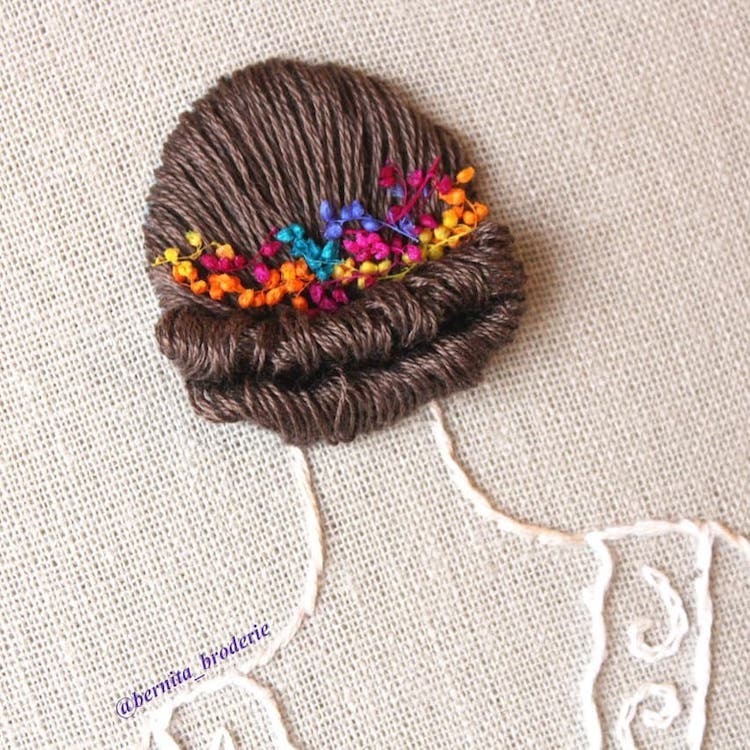 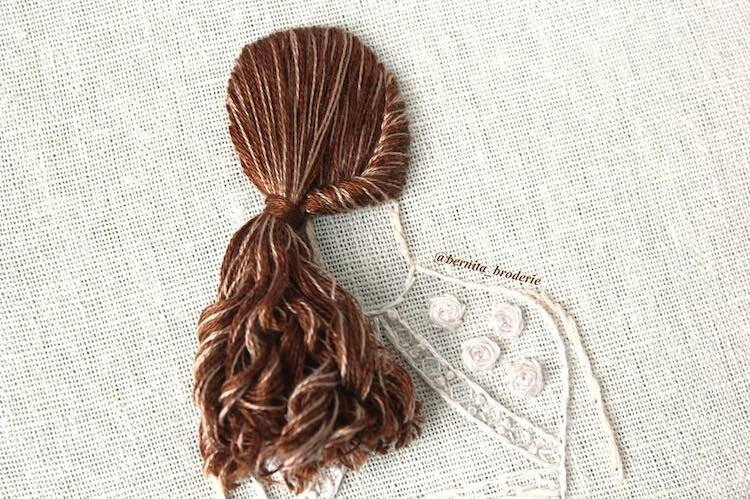 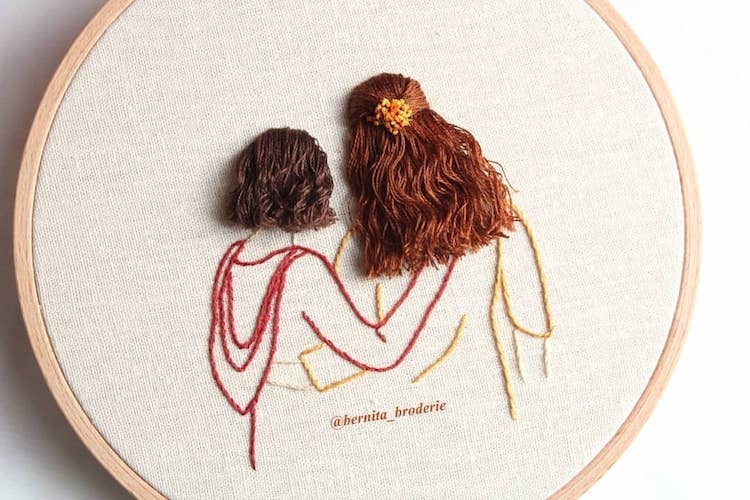 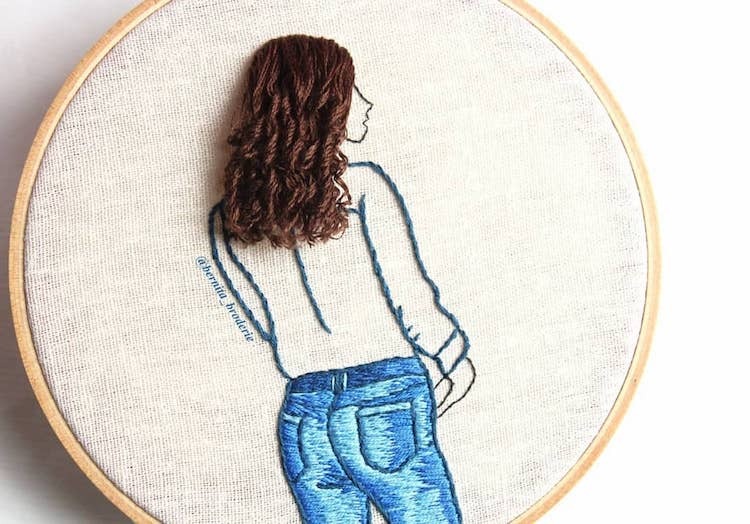 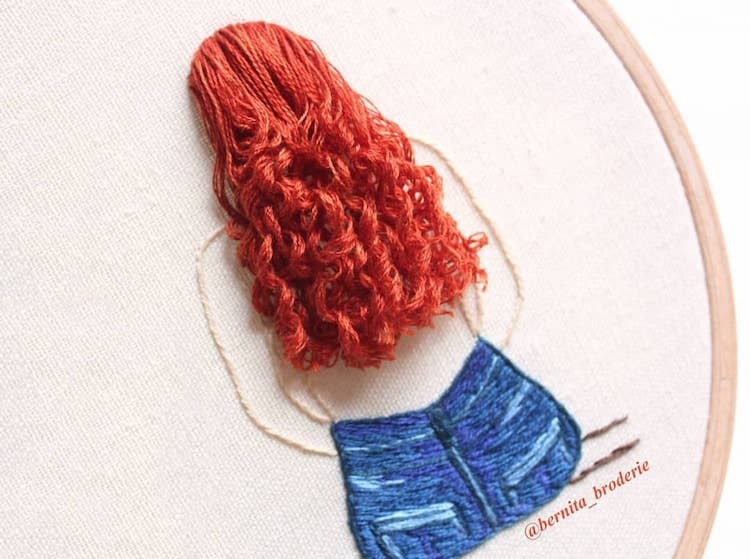 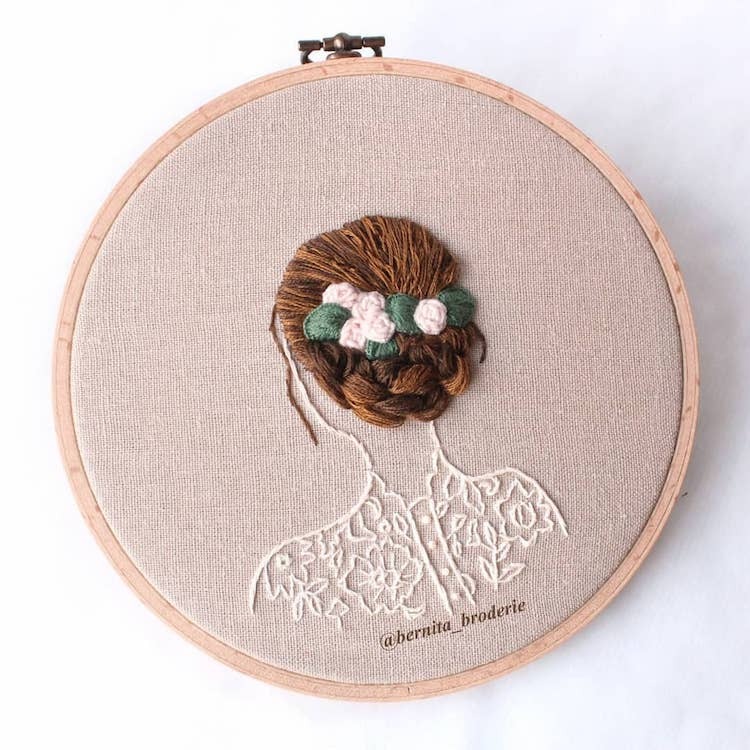 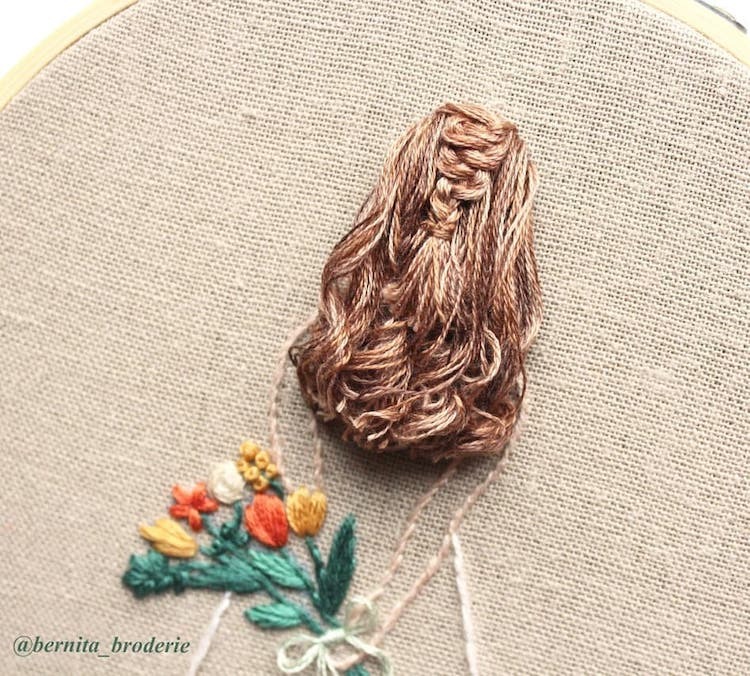 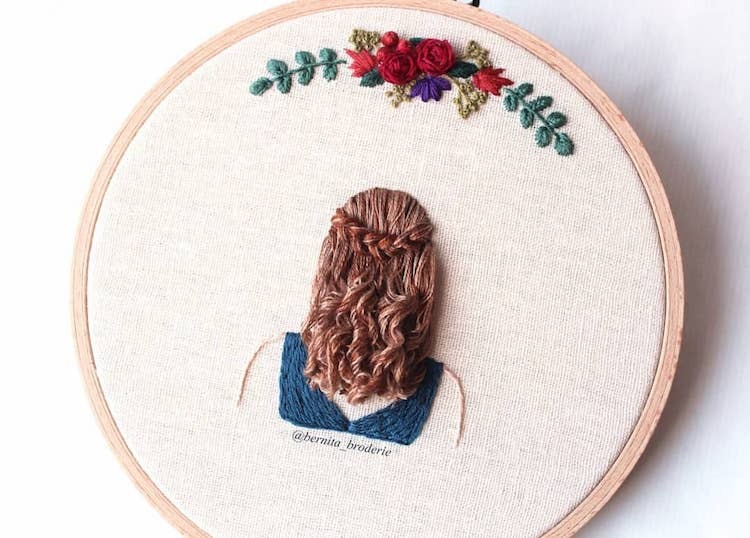 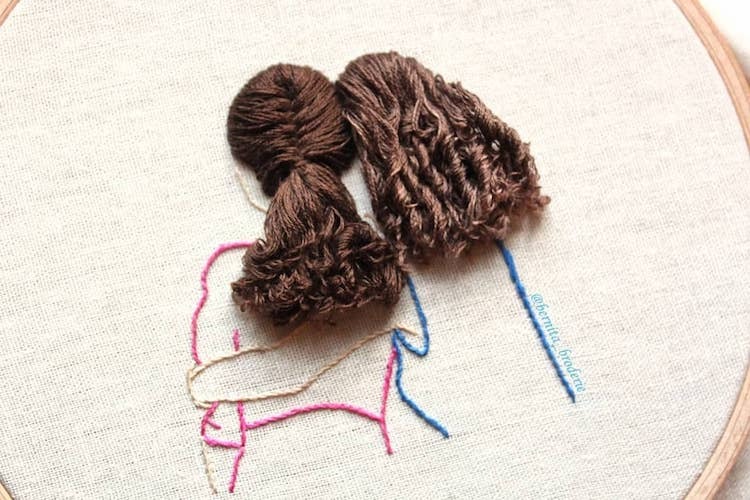 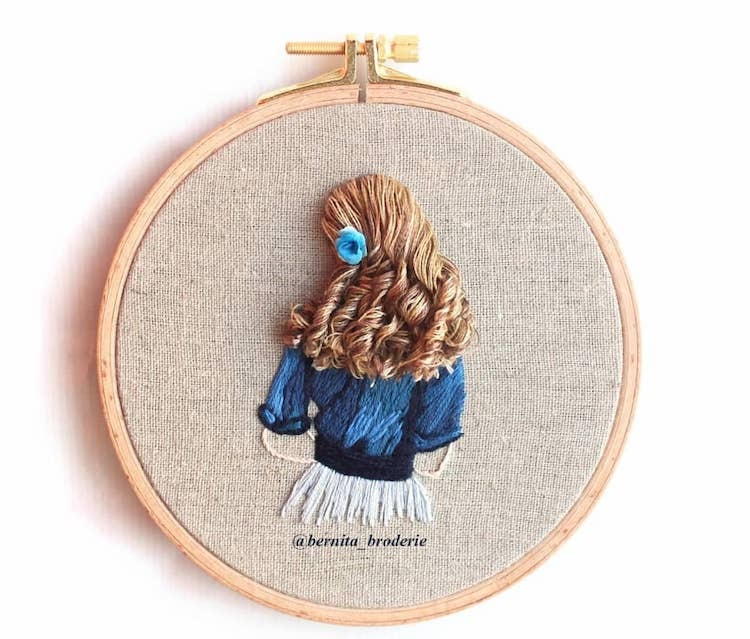 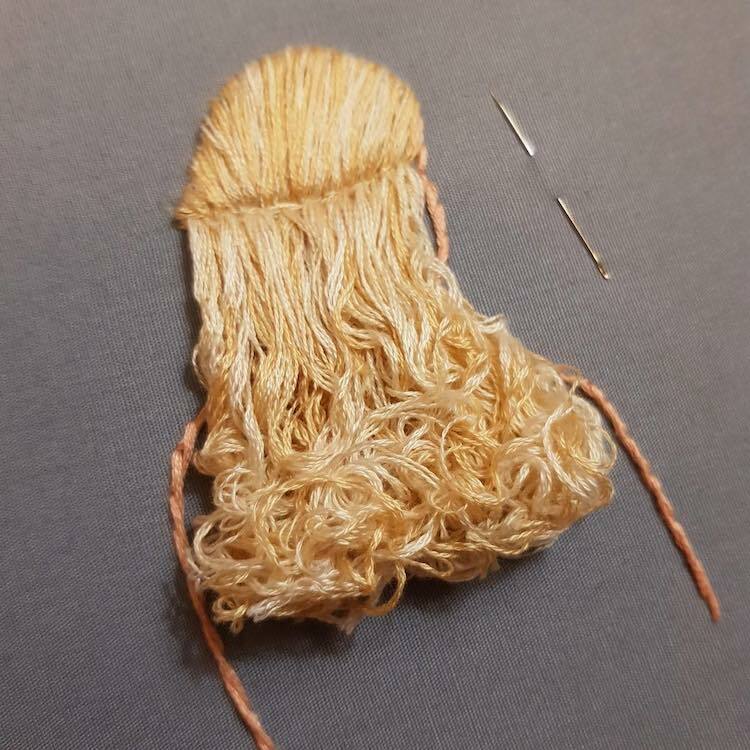 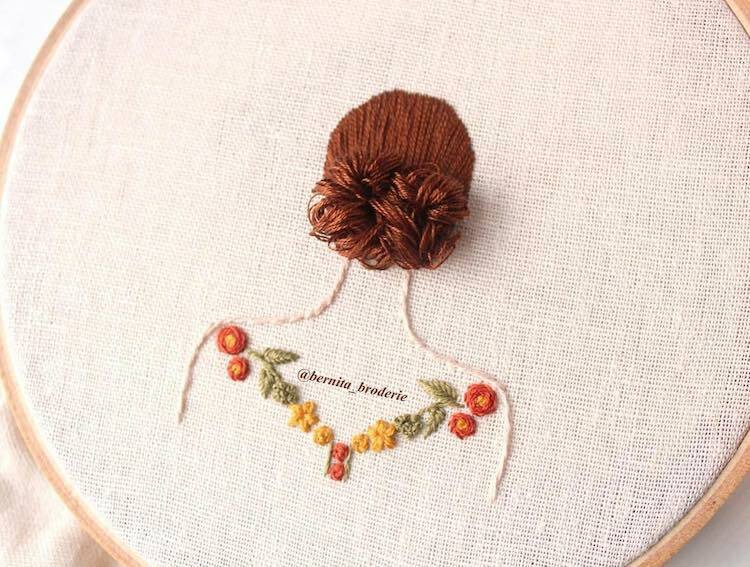 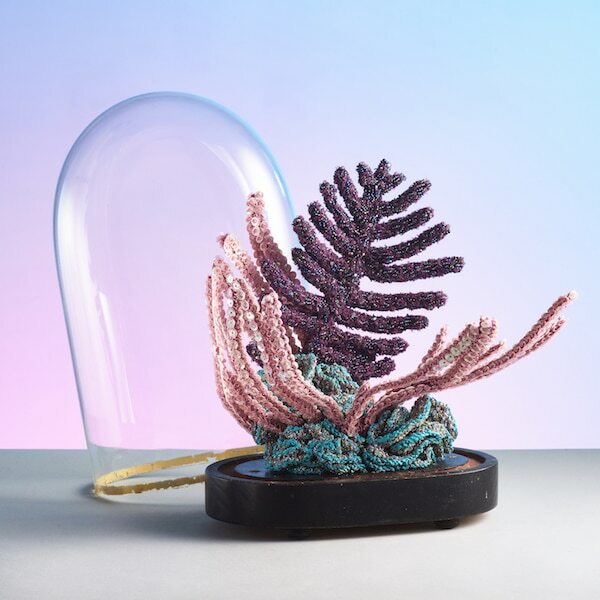 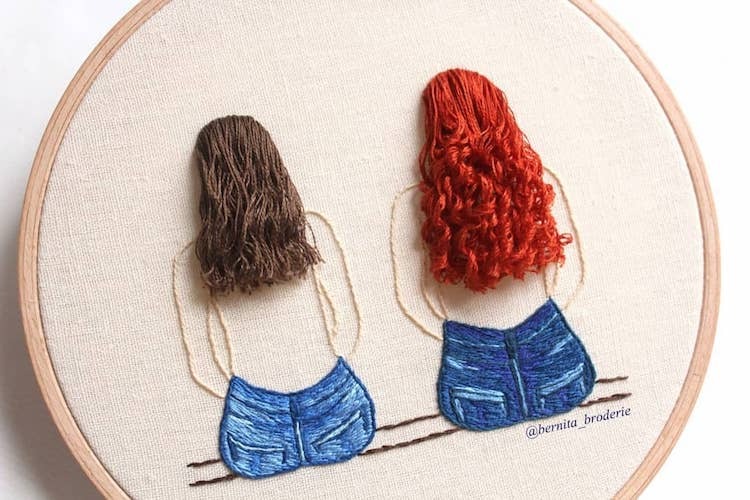 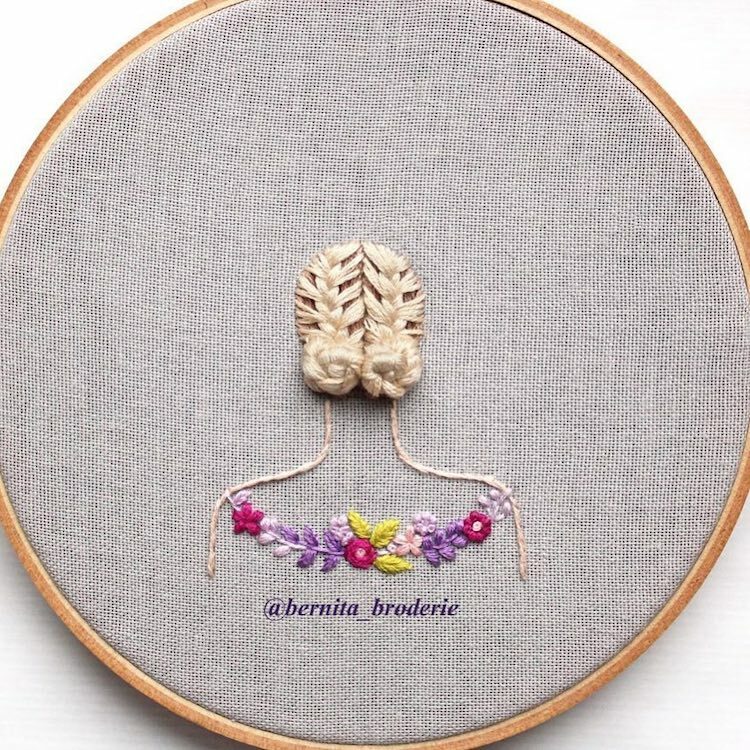 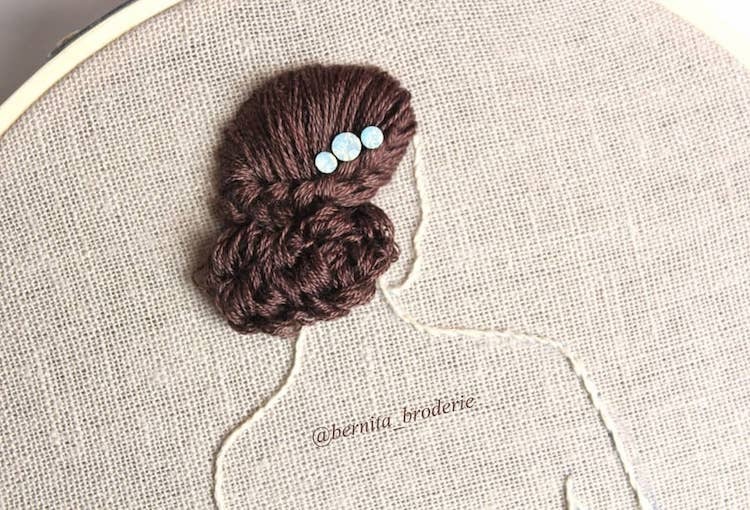 You can see more of Broderie’s embroidered hair designs on Instagram and purchase her work on Etsy. 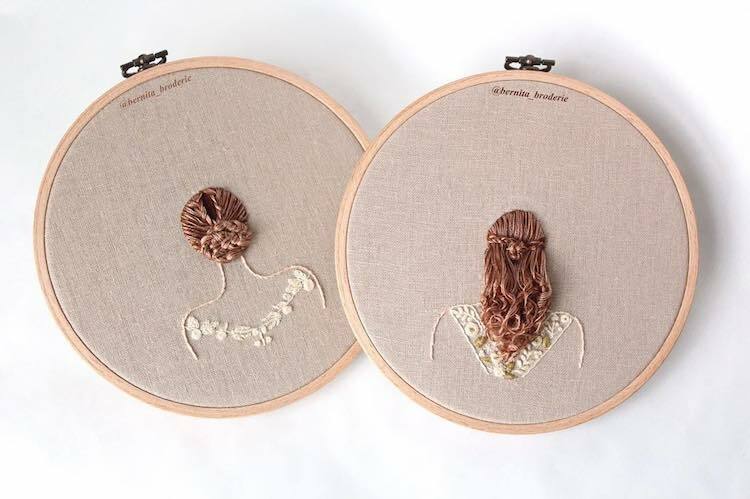 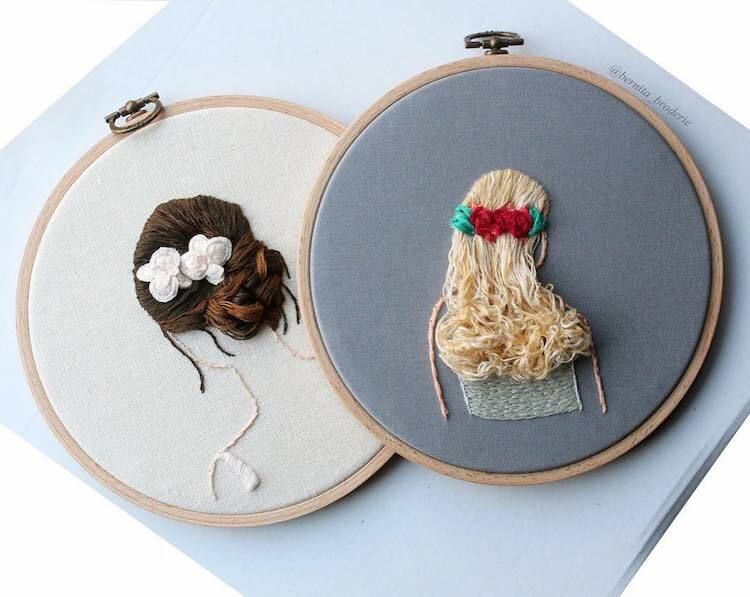 Textile artist Bernita Broderie uses cotton threads to render three-dimensional hair styles that cascade from the embroidery hoops. 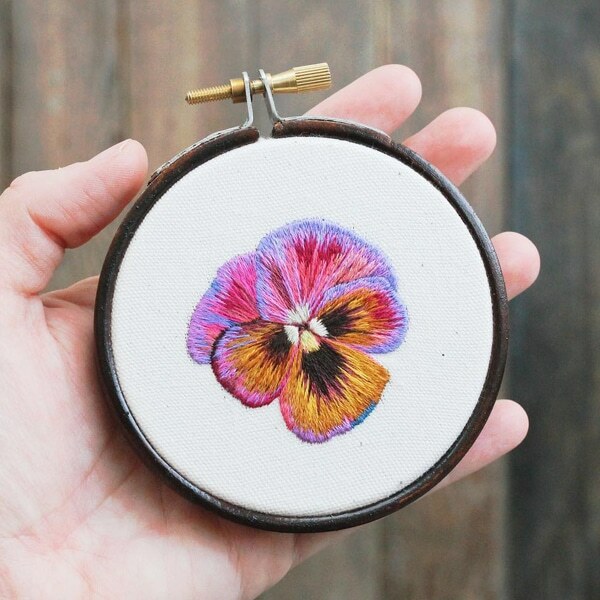 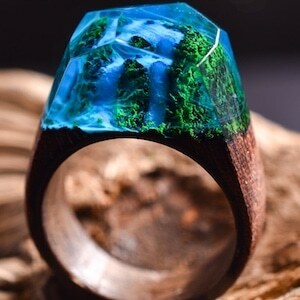 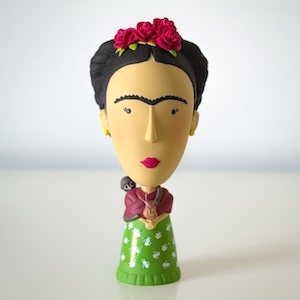 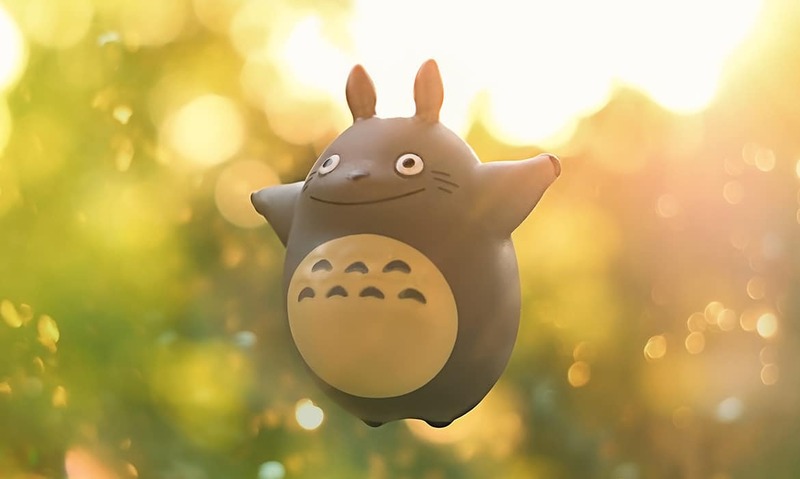 Many 3D embroidery designs feature decorative accessories, such as embroidered flowers and beads. 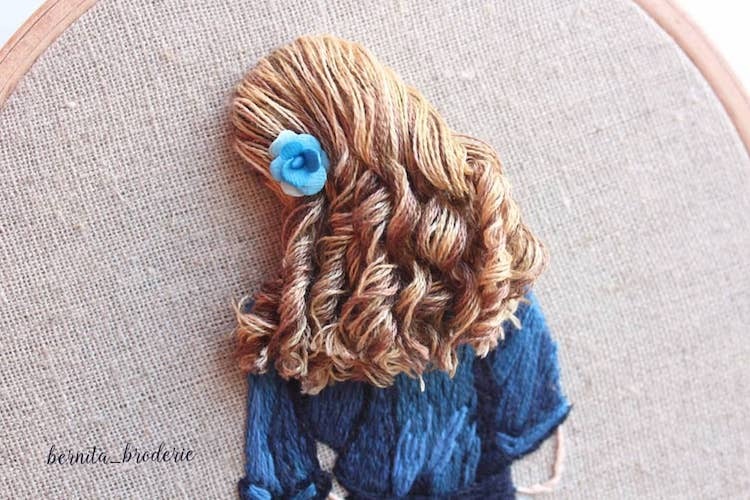 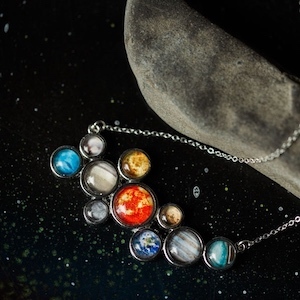 Others feature strands of different shades, mimicking natural locks. 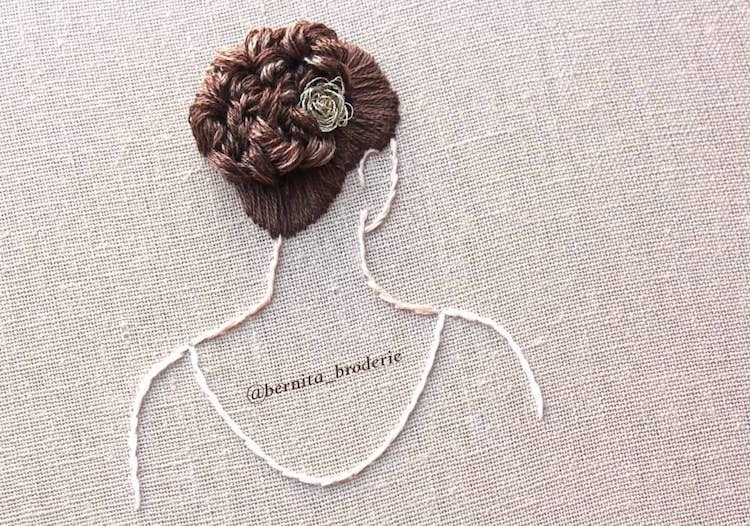 My Modern Met granted permission to use photos by Bernita Broderie.